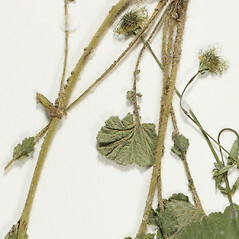 Cream-colored avens is native to eastern North America, and enters southern New England at the northeastern limit of its range. 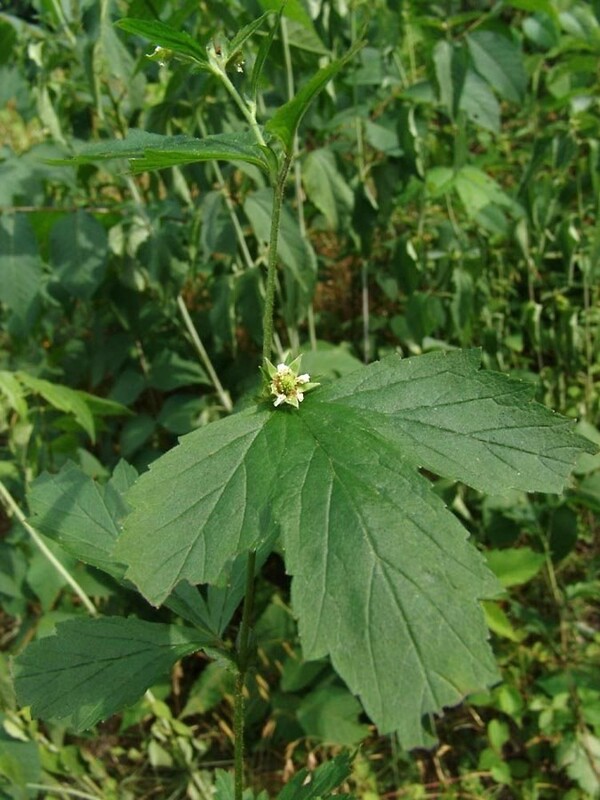 It is found in rich and riparian forests, stream banks and meadows. 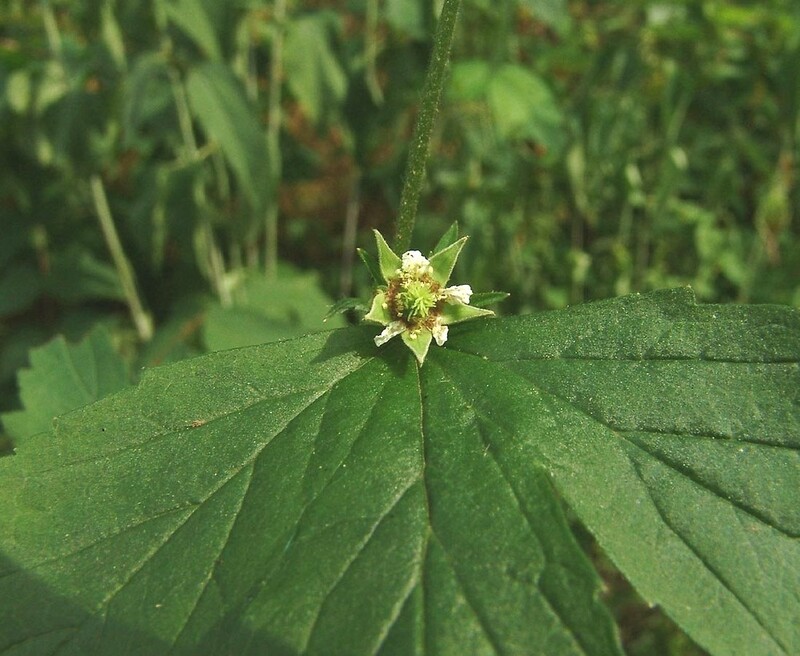 It is often confused with the much more common white avens (Geum canadense), but the two differ in several respects. 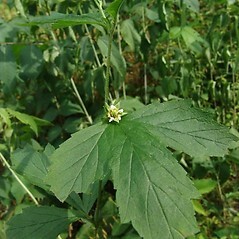 petals white, mostly 4–9 mm long, nearly as long as or longer than the sepals, and leaf teeth sharply pointed (vs. G. virginianum, with the petals ochroleucous, 2–4 mm long, much shorter than the sepals, and leaf teeth usually blunt to obtusely pointed). 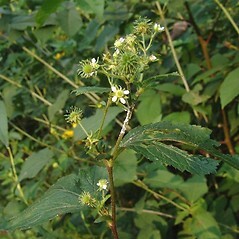 epicalyx absent, cluster of achenes stipitate on a stalk 1-2 mm long above the persistent calyx, and petals 1-2 mm long (vs. G. virginianum, with the epicalyx present, cluster of achenes sessile or nearly so with respect to the calyx, and petals 2–4 mm long). cream-colored avens. 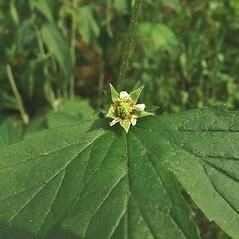 Geum flavum (Porter) Bickn. 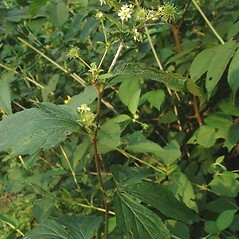 ; G. hirsutum Muhl. ex Link • CT, MA, RI. Rich forests, riparian forests, stream banks, meadows. 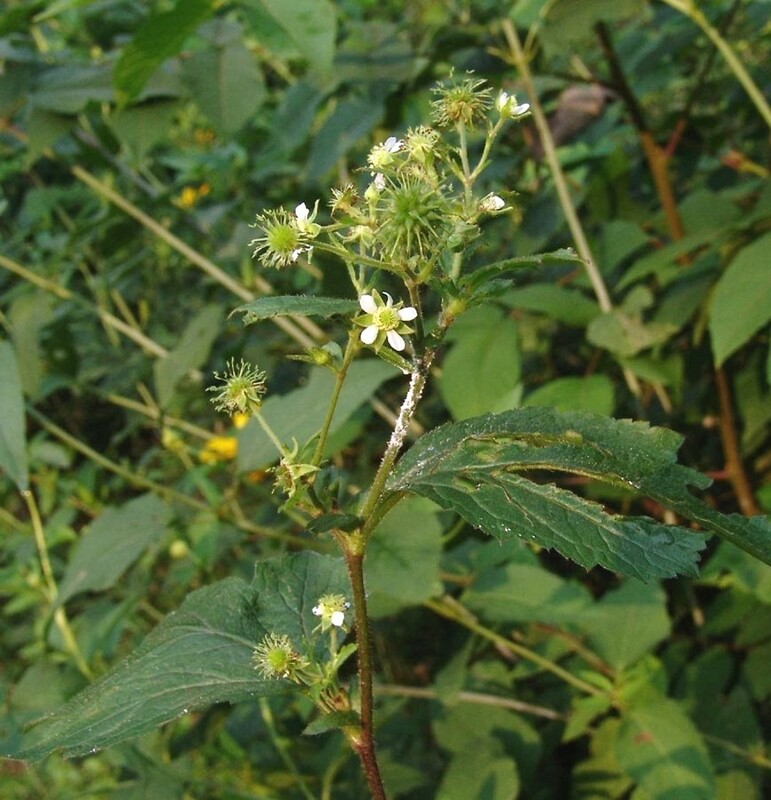 This taxon is much over-reported in New England. 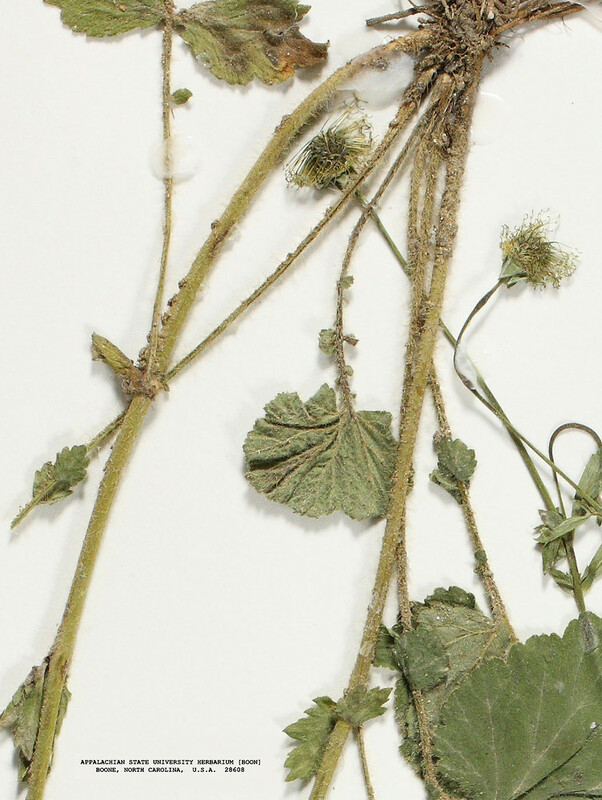 Many collections labeled as such are in fact Geum canadense. 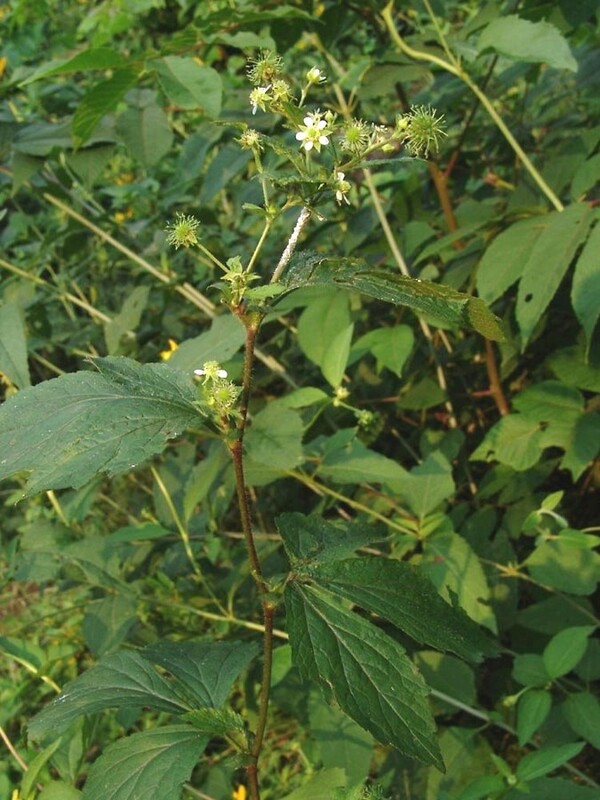 The report of this species in VT by Magee and Ahles (1999) is based on a collection of G. laciniatum var. laciniatum—1 Jul 1908, Kirk s.n. ( MASS! ).